Work has recently commenced on the creation of our new wetland habitat on the site of a former mushroom farm in Chobham Road, Horsell. 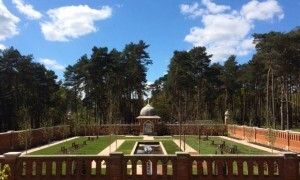 The Muslim Burial Ground on Horsell Common, located just off of Monument Road in Woking, is to receive much needed repairs following an announcement by English Heritage that they will fund up to 80% of the cost. After 3 years in construction, The Bedser Trail has been officially opened by Ken Schofield CBE in a recent ceremony on Woodham Common. A group of international students came to Woking last week to participate in this year’s tri-national nature camp, which had been organised by Woking Borough Council. 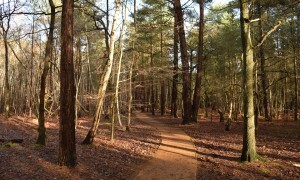 Once again we will be grazing parts of Horsell Common during the summer months to assist us with conservation management. There has been a major development in the long-running saga of Heather Farm (The Mushroom Farm) and its inclusion in the Surrey Waste Plan.